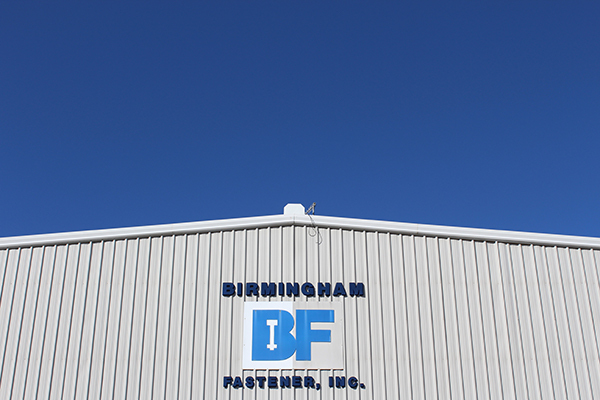 Birmingham Fastener provides everything from the ground up in the metal building industry. From anchor bolts and sag and brace rods to painted screws and flashing, we have everything you need to construct a metal building. All of our products meet and exceed MBMA standards. We guarantee that these products are the highest quality available. In addition to common metal building fasteners like structural bolts and painted screws, Birmingham Fastener also carries sealants, flashing, and closures. We believe having a comprehensive product line for the metal building industry is imperative to providing you the best service possible. Our sales team has immense experience in the field offering solutions and expert services. From product guidance to application questions, our team can provide fast answers and quick tips to keep your job moving. Along with industry expertise, our team offers competitive prices and quick delivery. To get started on your next project, contact our sales team today.